The dolphin was completely trapped in sea ice and slush, unable to free itself and swim away from shore. 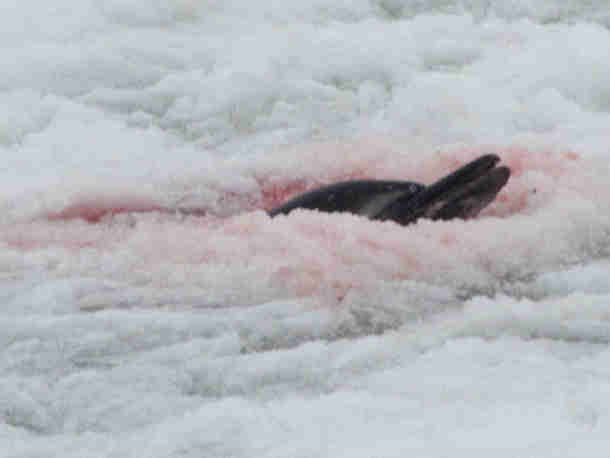 Its head was above the ice, allowing it to breathe but the compacting ice was cutting into the dolphin's skin and blood was visible, it needed help right away. This year's record-setting snowfall and below average temperatures in the northeast of the United States have tested even the hardiest of New Englanders. 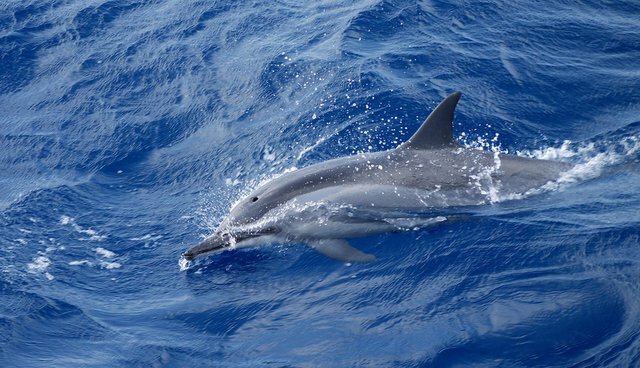 Take action now, tell Congress to help us save stranded dolphins! With local harbors completely frozen over and beaches inaccessible due to snow the reports of live and dead stranded dolphins within southern Massachusetts have been below average, likely affected by the large amounts of ice that formed near shore. Now, as temperatures begin to warm and the ice starts to break up, the potential for dolphins to get into trouble has become very real. 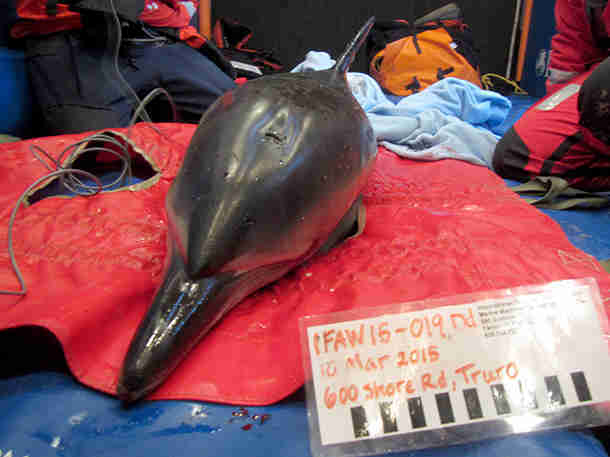 In the past five days we've had to respond to two live harbor porpoises and one common dolphin needing rescue. One of these responses in particular was incredibly unique and it started when we got a call from a beach walker who had seen a struggling dolphin who had become trapped in sea ice very close to shore and was unable to free itself and swim away. We immediately deployed and once on-scene quickly assessed the situation. Using a large inflatable mat, which is intended for rescuing dolphins trapped in mud, we were able to repurpose it as a platform to enable the response team to reach the dolphin and safely extract it from the ice and slush. Once in a stretcher the dolphin was carefully brought to our rescue trailer which serves as the team's mobile marine mammal medical unit. The small female common dolphin's health was assessed, vital signs were monitored and wounds from the ice were treated. Despite a slight drop in temperature from being trapped in the ice the animal's overall health appeared well enough to be released. We applied warming blankets to gradually raise the dolphin's body temperature and then used the trailer to transport the dolphin to a nearby beach that was free of sea ice and had good access to deep water right off shore. Under the yellow glow of the portable flood lights, we carefully carried the stretchered dolphin to the edge of the water. As soon as the stretcher was lowered into the water the dolphin's tail began to move, showing us that she was ready to swim away. We gently released her and watched as she swam out of view of the lights and back into the ocean.